Review Summary: On the whole SHIVA is a poor show with nothing except gruesome violence on display. On the whole SHIVA is a poor show with nothing except gruesome violence on display. 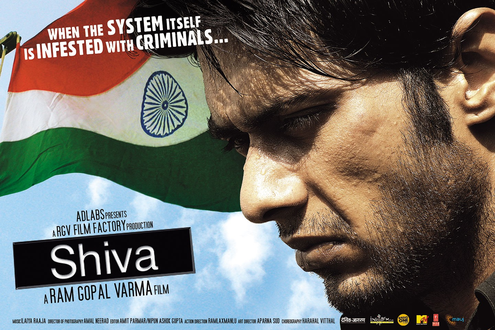 'Shiva' is back after sixteen years. The intensity of Nagarjuna and emotional appeal of Amla is replaced by the Woodstock Villa of one and a half expressions Mohit Ahlawat and PoutQueen Nisha Kothari, the dare bare miss with ample cleavage-n-shapely-legs to display. Alas, this old wine in a new bottle is a rehash of hundreds of films of a one-man-army against the rotten System. Now, in an era when the Home Minister's fixation with closure of Dance Bars is more important than action against terrorist activities, potholed roads, lack of disaster management and flash floods, you don't have to be an Einstein to understand that the public has turned too cynical to really bother about lets-change-the-system syndrome unabashedly perpetrated by Ramu's Last Action Hero (It's another debate about the acting disability of Mohit Ahlawat). The much expected cinema of Shivarajakumar 101st movie boast with mind blowing stunts, usual revenge, mistaken identify getting in to costly lapse, sharp dialogues, lovely music, cinematography and terrific presence of Shivarajakumar and Ragini.